Home/QED Games / Torpedo Strike Coming soon! 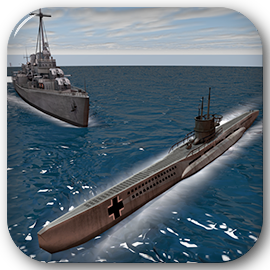 Torpedo Strike, our new naval warfare arcade action game coming soon to IOS, Android and OSX. Based on the highly popular and very addictive Torpedo Run, Torpedo Strike evolves the game play using the latest technology. Featuring all new highly detailed war ship models, day and night cycle, a greatly expanded play field depth and more and faster Merlin torpedoes. Enemy ships can now be up to many kilometres away so you will need to use the telescope to get your aim in. Coming soon in Feb 2014…..
© 2019 QED Gaming. All rights reserved.